Pittsburgh, what if we really get Amazon HQ2? Let's think beyond the national race Amazon organized and beyond the lack of transparency on what our public officials offered the company in its bid. Amazon has named 20 finalist cities. So in the one-in-20 chance Pittsburgh has of being chosen (though some will argue the odds aren’t even that favorable), what happens next? How will Pittsburgh’s housing market and its current homeowners be affected? What will come of our burgeoning tech sector? Will we experience a spike in homelessness like Seattle, Amazon’s current home? 1. Amazon’s presence could create up to twice the amount of jobs it has promised, but its impact depends on how many new people move to Pittsburgh. In the request for proposals issued in September 2017, Amazon said it could hire as many as 50,000 people to work in its HQ2. But how many of those 50,000 people would be current Pittsburgh residents and how many will move to the city for Amazon? Pittsburgh Mayor Bill Peduto said he expects the 50,000 jobs to be split 50-50 “at a minimum” between locals and transplants. Members of Pittsburgh City Council have expressed confidence that if the city offers tax breaks to Amazon, they could hold the company to an agreement to hire city residents. 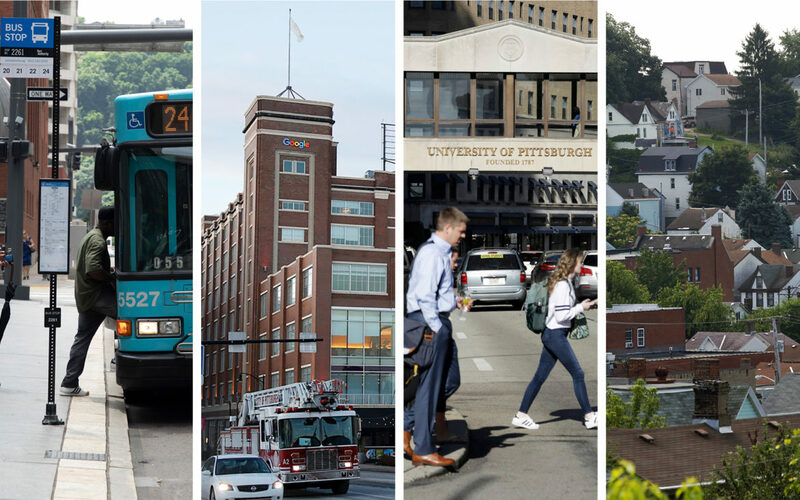 Estimates from outside analysts vary, and how many new people come to Pittsburgh would affect everything from housing to traffic to public transit. Greg LeRoy, the executive director of Good Jobs First, a national economic policy center, estimated that 15 to 20 percent of the Amazon jobs would go to Pittsburghers, about 7,500 to 10,000 jobs. The estimate is based on research into the effects of big companies landing in other cities. Stacy Mitchell, the co-director of the Institute for Local Self-Reliance, said she agreed with LeRoy’s estimate. Aaron Terrazas, the economic research director for Zillow.com, suggested in a housing study of HQ2 finalists that a city of Pittsburgh’s size could mean residents get 30 to 40 percent of the Amazon jobs, or 15,000 to 20,000 of them. Terrazas’ estimate was based on the available talent pool in a given city. Boston, another HQ2 finalist with elite universities, would be likely see more of its residents hired than Pittsburgh. Federal data puts the current labor force in Pittsburgh’s metro area at 1.2 million (Boston’s is 2.8 million). Terrazas said the city should expect a lot of new people to move in if Amazon chooses Pittsburgh. LeRoy estimated that if Amazon brings 50,000 jobs to Pittsburgh, an additional 50,000 jobs could be created both “upstream” and “downstream.” Upstream jobs would be those in the airline, restaurant and hotel industries, as well as for electric and gas companies — jobs created because Amazon and its employees need to consume goods and services. Downstream jobs would be those created because Amazon employees have money to spend — those in lawn care, dry cleaners, classrooms, home building and more. Sam Williamson, the Western Pennsylvania district director for the 32BJ SEIU, said it’s important that Amazon brings good jobs, not just any jobs, to its HQ2 city. That includes paying their service-sector workers at least $15 per hour, giving them the ability to unionize and investing in workforce development. One of the biggest questions, he said, is what kind of employer Amazon is going to be. 2. The cost of housing would go up, and homelessness could increase. One of the first things Amazon could change is Pittsburgh’s housing market. As soon as word gets out that Amazon is coming to Pittsburgh, it’s highly likely that real estate speculators would start buying up homes and property with the hope that they’ll be able to resell the properties at a higher price to people moving here for Amazon jobs, according to John Petrack, the executive vice president of the Realtors Association of Metropolitan Pittsburgh. “Actually, we’ve started to see that happen already, so yes, that is going to happen,” he said, referencing a New York company that earlier this year purchased 18 properties near Hazelwood Green, a site often mentioned as a potential location for HQ2. Aside from speculation, the addition of thousands of new residents, many earning high salaries, would likely drive up home values and the cost of rent. Pittsburgh’s housing market is often viewed as moderately priced and accessible to first-time homebuyers. But Petrack said the market is tightening up, meaning “lots of people want to buy but few people want to sell.” That drives up prices. “And if costs go up, that means more low-income households will not be able to afford the housing,” said Nan Roman, the president and CEO of the National Alliance to End Homelessness. Pittsburgh’s median rent is currently about $1,000 per month. Terrazas, the Zillow researcher, estimated that rents in Pittsburgh could go up 1.9 percent if Amazon chooses to locate here. 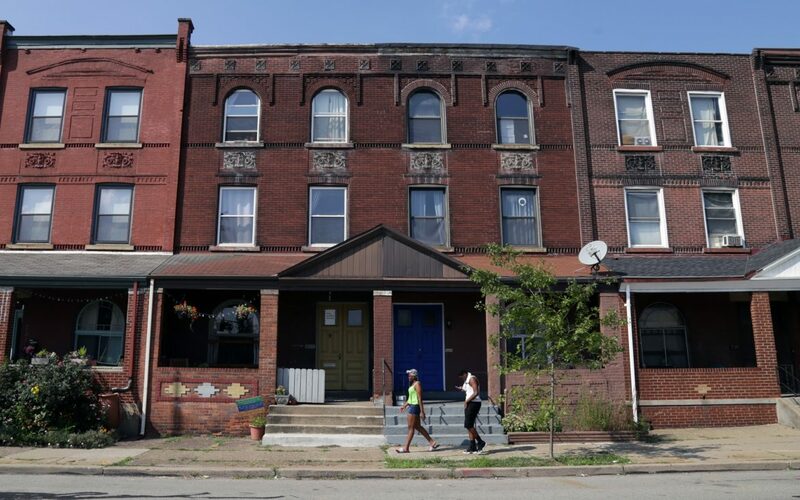 Terrazas’ study found that Pittsburgh rents are currently falling by about 1 percent. In Seattle, housing costs have skyrocketed in recent years. According to data from the website rentjungle.com, average monthly rent in Seattle was $1,207 in 2011. It’s $2,159 now. Amazon moved to its current location in Seattle in 2007 and finished building out its main campus in 2011. The median home price in Seattle is $764,700, which is higher than home values in New York City and Washington, D.C., according to Zillow. Allegheny County Executive Rich Fitzgerald argued that home values going up is a good thing and increases wealth for homeowners, in part because the county doesn’t increase property taxes with inflation. Amazon locating in Pittsburgh wouldn’t have an effect on people’s taxes until the county reassesses, Fitzgerald said, which the county doesn’t have plans to do right now. Allegheny County has re-assessed property values twice in recent history, once in 2002 and again in 2013. 3. Amazon could put pressure on Pittsburgh’s public transit and increase traffic. 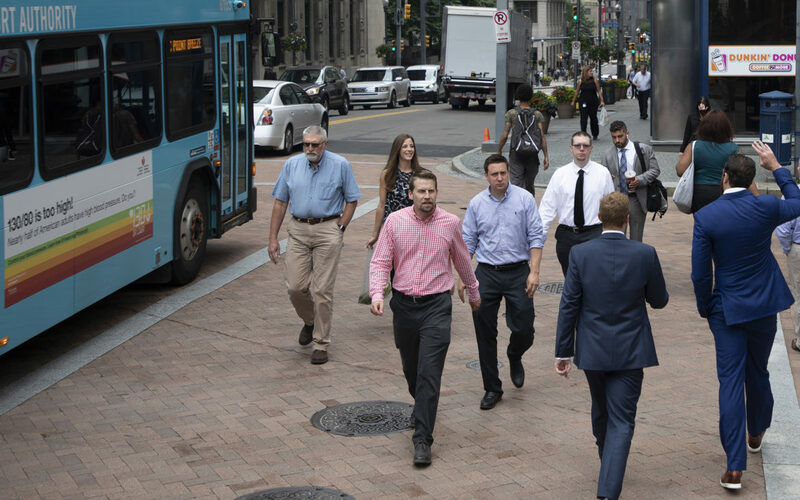 If thousands of new people move to Pittsburgh, they’ll have to get to work somehow. That means either more drivers on Pittsburgh’s roads or more people on the Port Authority’s buses and trolleys. But can the Port Authority handle the influx of riders? Opinions vary. 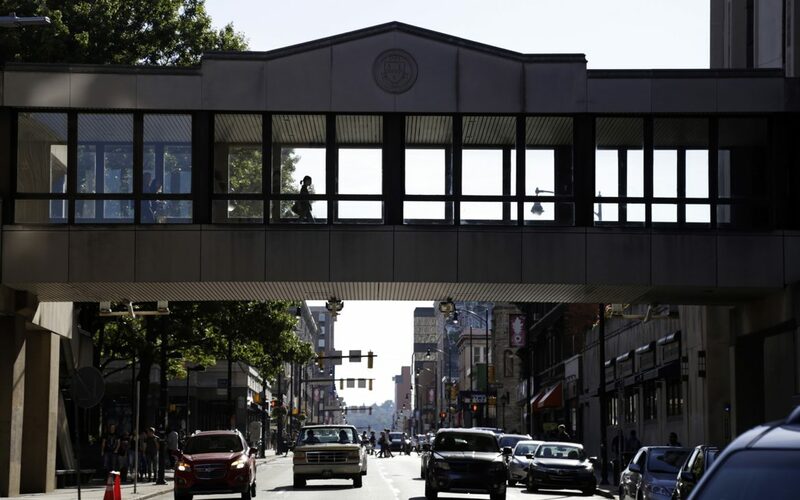 Katharine Eagan Kelleman, the CEO of Port Authority, says yes, while Laura Wiens, the head of the advocacy group Pittsburghers for Public Transit, has doubts. In an April interview with PublicSource, Kelleman expressed confidence that Port Authority could handle the Amazon employees because the system will have time to prepare, invest and slowly acclimate to the newcomers as they move here over the next few years. Adding a few thousand new people each year over a 20-year period would be doable, Kelleman said. “We have enough capacity that if we're doing our job right and we're being responsive and paying attention to service demand that we can grow with that service,” she said. Amazon coming to Pittsburgh, “would, of course, factor into our conversations with our partners in Harrisburg and D.C. that we've got this additional demand coming up,” she added, referring to lobbying for additional state and federal funding. Fitzgerald argued that the additional people Amazon would bring to Pittsburgh would increase the tax base, meaning more money for local government to spend. However, Wiens pointed out that Allegheny County taxes only account for a small portion of Port Authority’s funding. The county is slated to spend about $31 million on Port Authority's operating costs in 2018, less than one-fifth of the transit service’s budget. Nearly two-thirds of Port Authority funding comes from the state. But aside from an influx of people, Wiens worries that Amazon could cause a larger inequity. Because Amazon could drive up rents and home prices, people may be forced to move out of the urban core. 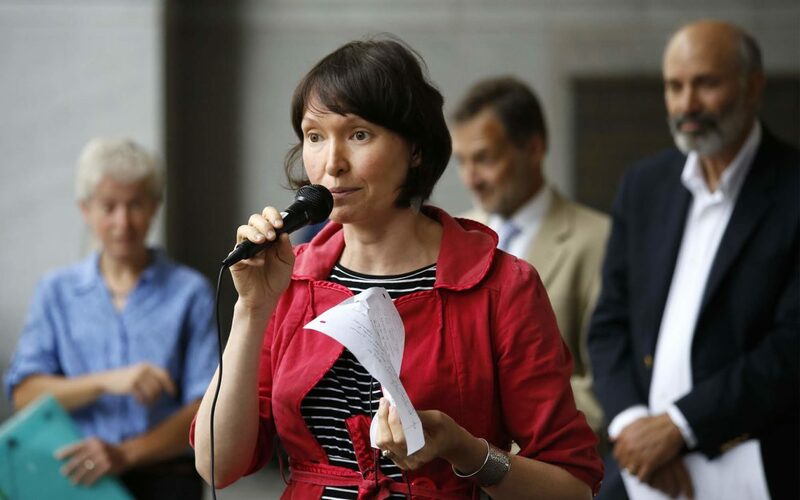 Wiens said people earning lower incomes and relying on public transit would be farther away from bus lines, their jobs, schools and other opportunities. “We have to understand that that’s what we’re going to see, times 50 or times 100,” she said. 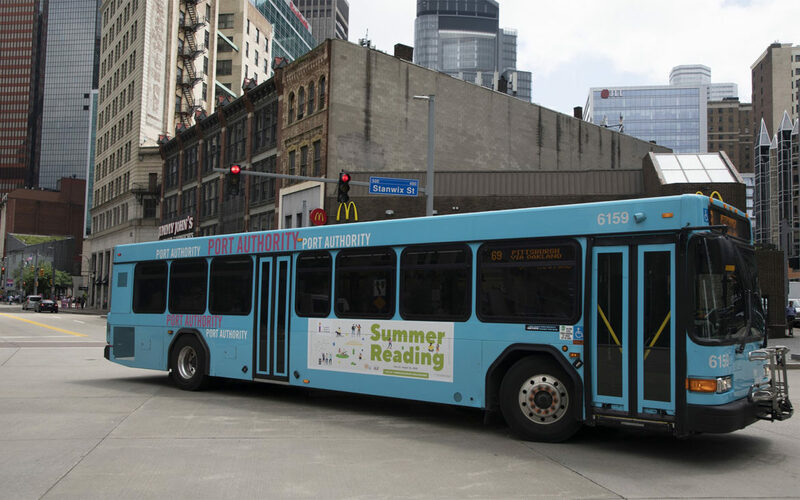 If the Port Authority does eventually add bus and trolley service because of Amazon, Wiens said that service may be added only in neighborhoods where the company’s employees live and work. “We’re not just displacing people, we’re replacing people,” she said. 4. Pittsburgh’s tech sector could get more competitive. If a big player like Amazon comes to town, that would drive up competition for both talent and technology, according to experts. It could also mean trouble for startups and other small tech companies. Wages in Pittsburgh’s tech sector are likely to rise because employers already here could be forced to compete with Amazon to keep their workers. If a Google employee, for example, could make more money working for Amazon, Google is going to be pressured to pay that employee, or another employee, more money so they don’t jump ship. Startups and other small tech companies in Pittsburgh may be forced out of business or bought up by Amazon if the company views them as competitors. Amazon has a history of doing just that, said Mitchell, of the Institute for Local Self-Reliance, a policy center focused on equitable community development. Amazon is known for “devouring industry from the inside out,” Mitchell said. According to the news site Inc., Amazon invested in or acquired at least 128 companies since it was founded. That count doesn’t include companies that have gone out of business because they couldn’t compete with Amazon. 5. The region’s schools and colleges could benefit. With a corporation like Amazon potentially putting down roots in Pittsburgh, those who work in education see a bright future. Linda Hippert, the recently retired executive director of the Allegheny Intermediate Unit, said school districts in the region have been focusing on school-business partnerships. She said she hopes Amazon would be open to partnering with districts to give students career-training opportunities. But, she said, schools still need to improve on preparing students for the kind of tech jobs that Amazon and similar companies are bringing to the region. While some districts have a heavy focus on STEM education (science, technology, engineering and math) and teaching kids how to code, those programs don’t exist in every district. That’s something Anthony Hamlet, the superintendent of Pittsburgh Public Schools [PPS], said he’s working on. Hamlet said he’s optimistic that if Amazon locates in Pittsburgh the company could bolster students’ education by offering them tours of HQ2, internships or partnering with PPS in other ways. Hamlet cautioned, though, that he’ll wait to see what Amazon needs before anything is set. He also said PPS middle and high schools are in the midst of “revamping” their curriculums to focus on computer science. Computational skills classes should be available in some schools by fall 2019. “Amazon is not the end-all, be-all, but we know they'd be a major player in the region,” Hamlet said. Having Amazon invest in Pittsburgh’s workforce and other job training initiatives is a sentiment several local leaders also expressed. Harrington, of Vibrant Pittsburgh, said reevaluating jobs in tech could help open them up to people without a bachelor's degree who have completed job training of some kind. Hippert also said she’d want to see Amazon contribute monetarily, whether through property taxes or some other kind of direct monetary benefit directly to schools. But that may be an uphill battle; currently, Amazon doesn’t even pay federal taxes. Hamlet, too, said he’d like to Amazon contribute financially to schools, even if they get tax breaks. Kevin Zwick, a spokesperson for the University of Pittsburgh, said the university couldn’t speculate on Amazon’s plans but expressed optimism about the company coming to the city. 6. Local officials could feel Amazon’s pressure. If Seattle offers any clues as to how Amazon may treat its HQ2 city, one thing is nearly certain: The company has potential to be a major player in local politics. Amazon’s recent fight with Seattle City Council over a “head tax” on employees who work for large corporations offers a cautionary tale. Seattle City Council initially proposed a $500-per-employee tax on large companies to fund efforts for affordable housing and to reduce homelessness. After Amazon threatened to halt a major construction project if the tax passed, Seattle council members passed a much lower $275-per-employee tax. On June 12, weeks after enacting it, Seattle council repealed the head tax. The head tax episode left some elected officials around the country so concerned that they signed an open letter to Seattle’s leaders to offer them encouragement and support. No government officials from the Pittsburgh region signed the letter. Jordi Comas, a member of borough council in Lewisburg in Union County, Pa., signed the open letter to Seattle. He said he’s troubled by big companies like Amazon being able to control local governments. “The way they’re conducting the HQ2 process...is how we can expect them to engage in the future,” she said. So far, some members of Pittsburgh City Council believe they’ll have enough leverage to require Amazon to offer some community benefits — especially if the city offers the company tax breaks. All in all, everything still depends on Amazon’s final decision, which is expected to come sometime this year. As for Pittsburgh’s chances, LeRoy has his doubts. There is a rumor that Amazon wants to leave Seattle and they are actually planning on picking two cities to move to. They have been offered a large tract of land in Hays Woods off of East Carson Street in Pittsburgh and they are finalizing that deal. Amazon’s history is to extract the most in tax breaks wherever it goes. Why should we give tax breaks to the richest corporation in world. We have just gotten out of bankruptcy; a new lead free water system will raise our rates by 50%; police and fire have been cut and our schools are facing huge deficits. Just look at the thousands of homeless people living in tents in Seattle and Amazon’s effort’s to reverse a tax to provide more affordable housing to know that Pittsburgh or any other city will not be better off. Amazon should get no tax breaks. I am disappointed with our political leaders for choosing to provide billions of dollars in tax breaks to Amazon rather than preserve our tax dollars for services that benefit our communities. This is the biggest corporate giveaway that we’ve seen to date. Why are our politicians hiding the bid information? I’ve lost faith in them.